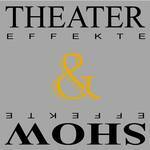 Theater & Show Effekte GmbH is trading with special effect equipment and products. ROUGE AUDIO VISUAL EQUIPMENT (SHANGHAI) CO. LTD. Contact for FLASH ART events in Taiwan and China. Pyrotronix develops and produces control systems for show and special effects. The company is specialised in ignition systems for pyrotechnics, wireless systems and electronic development. The company PYRONALE EVENTS GmbH is the organizer and presenter of the Pyronale and of further. AURORA Technology Arts creates, designs and produces media and events focusing on the use of drones for photography and film recordings as well as the production of 360 ° virtual reality and media content.